I have to thank a give-away of National Geographic Traveller at Stansted Airport for giving me the idea for my main piece in my latest technology column for The Journalist. An article on “the end of the guide book” alerted me to Google Authorship – I was astonished that I hadn’t heard about what is potentially a really important development for journalists. Authorship allows a creator of content to claim ownership of their work by linking blogs and article to their Google+ profile. You might have stumbled upon already when you see a thumbnail and byline in your search results – here’s a screenshot of my entry to illustrate Authorship. Speaking to SEO experts and online editors, it is clear that most media organisations know about Google Authorship and are beginning to implement it on their sites. But how many individually journalists know about it? Particularly freelancers who could potentially be the big winners from this development. You can download a PDF of the column which includes this article and a review of infographic apps here. You can access the links that I found useful when writing both articles below. This is very useful and relevant information for journalists writing online. I am now trying to work out how to apply it as a freelance journalist (as opposed to having a byline and email address with a media site i.e. guardian). Hi Elisabeth, thanks for your comment. For the Guardian, I don’t have an email, but I do have a byline and I linked my Google+ account to the Guardian and I think they put some code it too. For my own blog I just put some code in the side bar and that seemed to work fine. The email issue could be a stumbling block for some freelancers, and even staffers who work for a media company with a different email and domain name. Yeah – I’ve been writing about this for a couple of years, it has the potential to radically reshape the relationship between journalists, publications and search. Thank you for your comment Adam. I was really surprised how few journalists (including myself) knew about this. 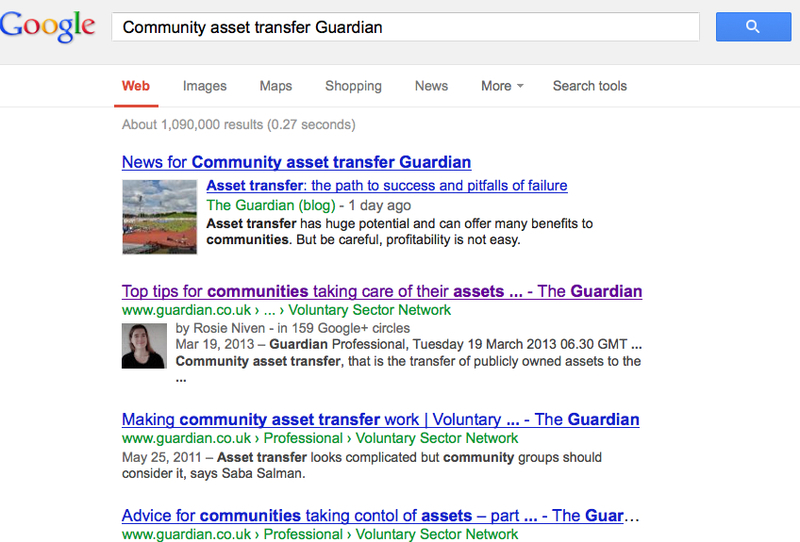 Do you have any tips for how journalists can use Google Authorship to its potential? There’s not much you can do right now, bar make sure you establish authorship as widely as you can. Even is a company isn’t specifically establishing it on their site, you can often claim it via the email method, if you have an e-mail address on the same domain. Thanks Adam. It will be interesting to see what happens.